Our approachable teaching staff have strong industry links and undertake cutting edge agricultural research. Students experience practical agriculture on the innovative university farms. Classes are small enough to provide great support from academic mentors, but large enough for peer-to-peer group work with other students. UNE is a leader in online education, delivering innovative and engaging agricultural programs that combine the latest online teaching technology with an unrivalled on-campus experience. Armidale is also nestled amongst Australia’s most important food growing regions. 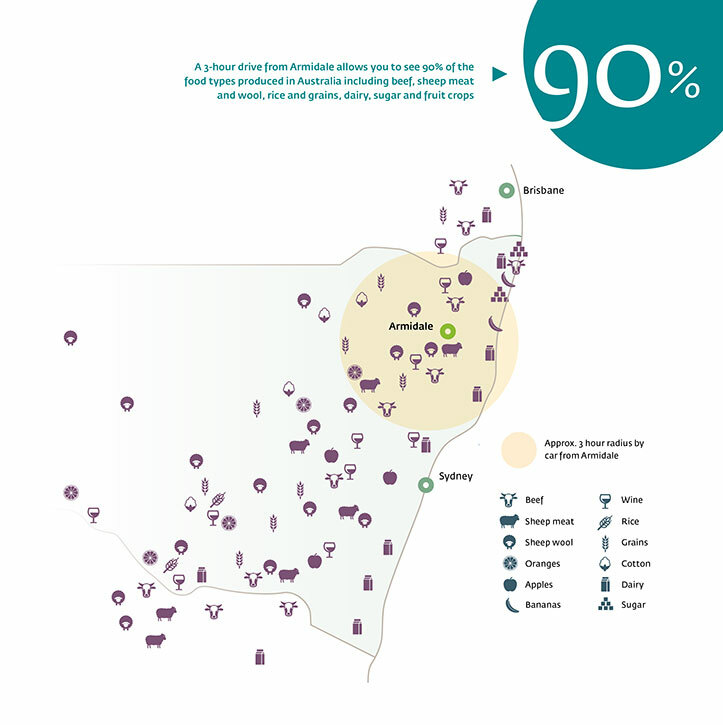 with 90% of Australia’s food and fibre production industries found within a 300km radius providing accessible workplace experience.